Going to college can be the most exciting time of your life. It is the time when students get busy deciding on their career goals and set themselves up to live as independent members of society. As with anything that involves learning, it is always a good thing to have useful resources at your disposal. 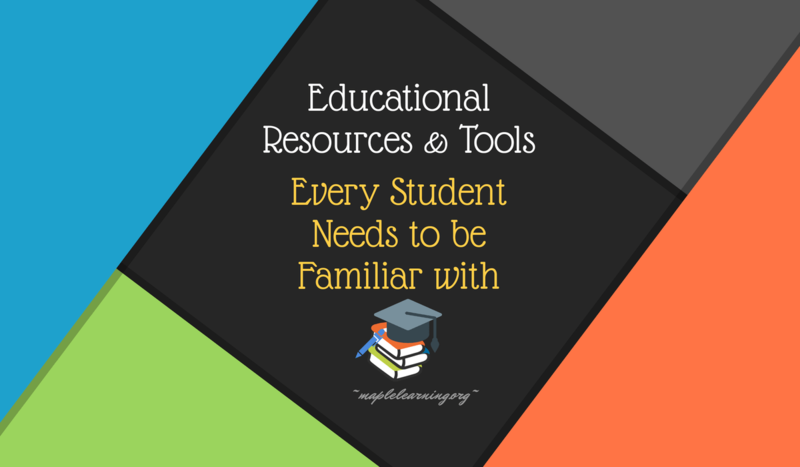 These resources can go a long way in speeding up the learning process and making everything whole lot simpler than what it would have been otherwise. There are numerous resources that you can use to improve learning. However, to make your life a lot easier, we put them together into a list. Most schools and colleges come equipped with a library. They are by far some of the best places where you can go to for information. This is because the book inventory are properly laid out to suit the syllabus that students have to cope with. The books available in these libraries are the best in the field. So spend most of your time in the library — there’s never too much of a good thing. Internet is a convenient way to search out some information in seconds with just the click of a mouse. Anyone is able to access almost anything from all corners of the world. However, one thing you should keep in mind; the Internet always has false information laying around. So you need to know which sources are trustworthy so that you don’t get the wrong information. Many science textbooks usually come with guides. These guides help students understand the subjects better. It simplifies the learning process. For example, math textbook or accounting book usually has a study guide that has detailed explanation on how each of the problem is solved, with step-by-step instructions. Students tend to hesitate to talk to their faculty about their problem. Keep in mind, the very reason you are there is to learn and get the knowledge. So don’t be afraid to ask questions; they are there to help and teach you. You should be familiar with the faculty so that you will be comfortable to ask questions or get some help when needed. Online message boards are discussion forums on the internet where students can ask or answer different kind questions. You can post a question about a subject that you don’t understand on the forum so that others can help you out. Student clubs are unions of students where they come together for a variety of purposes. One of the main objectives is to help each other with their study, getting ahead and attain better grades. So join these student clubs if possible. While this might cost a little extra, there are a lot of people who are willing to tutor students about their syllabus for payment. You can choose to opt for private tutoring if you are willing to spend more money on it or go to the student center at your campus to get free tutoring. With the rise of Smartphone technology, there are numerous apps that can be used to enhance the learning process in a variety of ways. While some of them cost money, there are plenty of free apps that can provide students with immense benefits when used properly. For example, some of the useful apps are Note Plus, The voice recorder, Lecture Capture, Revision App, My class schedule, and Easybib. In all, these are some of the best resources that students can use to get great grades and simplify the learning process.